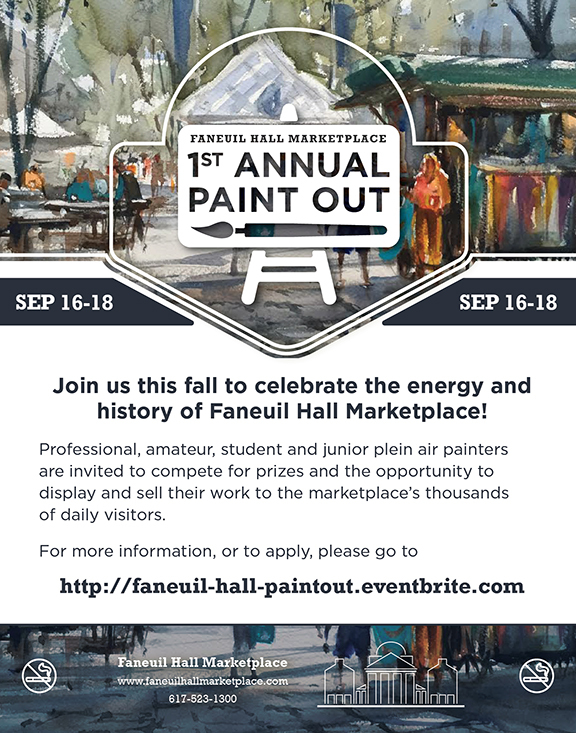 Faneuil Hall Marketplace in downtown Boston will be hosting our first annual Plein Air Paint Out next weekend: Friday, September 16 through Sunday, September 18. 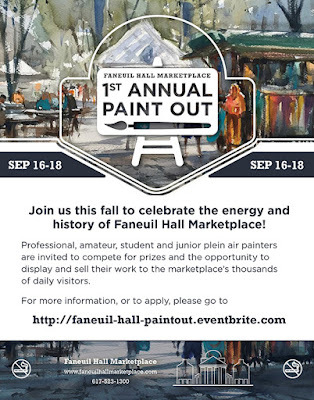 The three-day Paint Out invites professional, amateur, and student plein air painters to capture iconic Boston scenes of architecture, markets, crowds, and street performers. Painters are encouraged to use any painting medium over the three days. A final show, group draw, prizes, and two-week exhibition, will offer artists many opportunities to exhibit their work to thousands of daily visitors to the marketplace.